Combine all ingredients in a food processor or a high-quality blender. Add more olive oil/salt/pepper/parmesan if needed until it reaches desired consistency/thickness. Store in an airtight container in the fridge for a couple weeks or pour into ice cube tray and freeze. When frozen, take them out of the ice cube tray and transfer to a container or freezer bag. 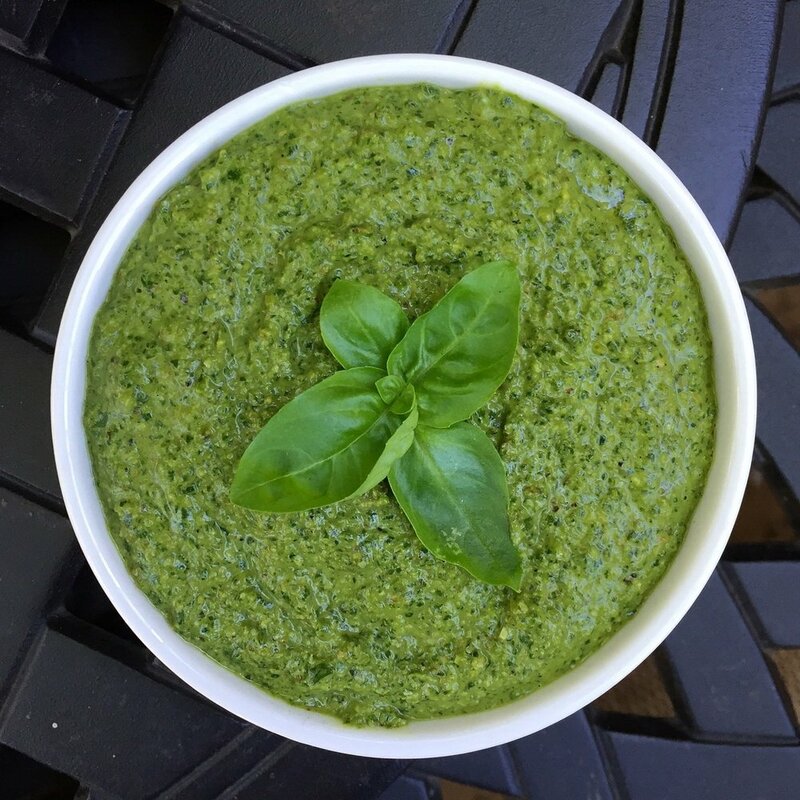 Thaw whenever you want some pesto!